Fans of Capcom’s Dragon’s Dogma have long waited for the title to receive a proper sequel. The original release hit store shelves in May 2012, and instantly gained a cult following. In an alternate universe, perhaps, fans already have their hands on Dragon’s Dogma 2, since Capcom once placed a fork in the road for director Hideaki Itsuno. 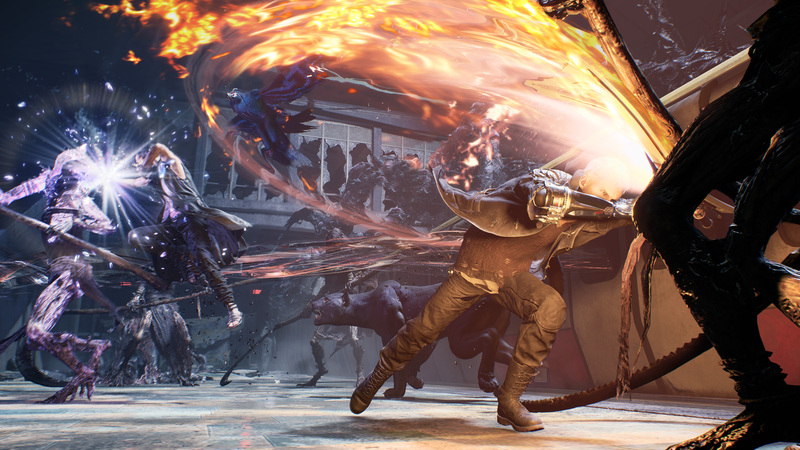 When prompted to choose between Devil May Cry 5 and Dragon’s Dogman 2, Itsuno elected to develop a new DMC first. So, when the discussion came up for Devil May Cry 5, I went to Kenzo and I said… look, I want to make either Devil May Cry 5 or Dragon’s Dogma 2 next. He said “okay, do whatever you want. Do whichever one you want.” So I thought, alright, y’know what… let’s do DMC5. So we did that. Those holding out hope for another Dragon’s Dogma shouldn’t lose that hope, however. Itsuno noted he has ideas for a sequel. With development on DMC5 finishing, does Dragon’s Dogma 2 now stand a chance? It doesn’t seem beyond the realm of possibility. Itsuno said, “Here we are – we’re now finishing up DMC5. But I had ideas for Dragon’s Dogma 2 at the time as well. So here we are, it’s the end of this project.” According to VG247, Itsuno grinned at the last line. Though the wait for Dragon’s Dogma 2 persists, Devil May Cry 5 will arrive on the PlayStation 4, PC, and Xbox One on March 8, 2019.